I love the smoker. No joke, no punch line or caveats, I just love our smoker with a pure unadulterated passion. Over the years we have smoked everything from house corned beef shanks, heirloom tomatoes and tenderloins to fresh goat cheese, leeks and eggplants. Almost nothing is off limits when it comes to the wonder that is smoke. So this week I kicked around some of our classic dishes and took them for a spin through our house of hickory. I must warn you now this next section contains nuts! Bar nuts are a perfect snack food. Weather they are roasted, toasted, seasoned sweet or spicy; they are always the perfect choice for munching and cocktailing. 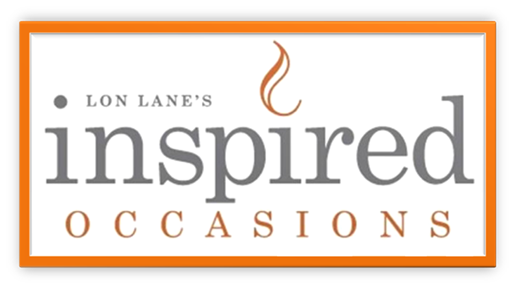 At Inspired Occasions we have developed a few different recipes to satisfy every pallet but two recipes stood out leaving me wanting something more! Introducing our new Chinese five spice smoked cashews with a dusting of cayenne! The cashews were tossed in lightly whipped egg whites, five spice, cayenne, kosher salt and cracked black pepper before being placed in the smoker to cure. The result is a shiny and crunchy shell around a rich and meaty cashew highlighted by the brightness of anise, cloves and pepper. But the real player was the smoke which brought out and changed the flavor of the five spice into a sweeter more balanced flavor, without overwhelming the other ingredients. For some contrasting flavors try our newest smoked hot and spicy mixed nuts! Cashews, macadamias, peanuts, pecans and brazil nuts sautéed with butter, Worcestershire, celery salt, Seasoning salt, cumin, cayenne, and granulated garlic. These nuts alone are a flavor bomb of spicy, salty goodness but once they took a long slow nap in the smoke box the game changed. After a 2 hour smoke, flavor was way too intense, bitter and almost acrid. But, like most good things, a little patience and curing time was required. We let them cure overnight; The next day we were greeted with a perfectly smoked, hot and spicy, mixed nut that was above and beyond our expectations. The butter soaked up the smoke then coated each one of the nuts, soaking into every pore overnight, resulting in a perfect smoky bite. The transformation was simply amazing. Here’s to a “Smokin Hot” Spring!